Today, Americans have a decision to make: allow the Republican Party to continue to have unified control of the federal government and many state houses across the United States, or permit the Democrats to serve as an institutional check on this chaotic administration. This partisan fight has been covered during the months leading up to this moment. Yet, largely ignored by pundits is the fact that democracy itself is on the ballot in many states and municipalities. That’s right: There are at least 35 pro-democracy initiatives on the ballot. In effect, the future of democracy rests not just on which candidates win (re)election, but also on the concrete pro-democracy policies that could be adopted tonight. Unfortunately, not every voter will be able to weigh in on our democracy. After all, only 26 states have some form of a ballot initiatives process. But those that can do so have consequential decisions to make. This isn’t the first time that our democracy has been on the ballot. For the 2016 election, for example, there were 17 pro-democracy ballot initiatives presented to voters across the United States. And of those, fourteen of them passed. (Here’s hoping we can replicate that success rate.) But this election proves unprecedented in both the number and significance of the initiatives presented to voters. Florida — Amendment 4 would automatically restore the right to vote for approximately 1.4 million people in Florida convicted of a felony (not including those convicted of murder or a sexual offense), after they complete their time in prison, parole, and probation. This would be the most significant expansion of voting rights since the 1965 Voting Rights Act. Michigan — Proposal 2 would establish an independent redistricting commission to draw the congressional and state district lines, ending gerrymandering. Michigan — Proposal 3 would enact eight pro-voter policies, among which are automatic voter registration, same-day voter registration, and no-excuse absentee voting. Maryland — Question 2 would amend Maryland’s constitution to adopt same-day registration. Colorado — Amendment Y and Amendment Z would create independent redistricting commission for Colorado’s congressional and state districts, respectively. Utah — Proposition 4 would end gerrymandering by creating an independent redistricting commission to draw congressional and state legislative districts. Nevada — Question 5 would enact automatic voter registration in Nevada. Missouri — Amendment 1 would strengthen the state’s lobbying laws and campaign finance limits. It would also empower a nonpartisan expert to draw districts for state legislature, ending gerrymandering. Baltimore, Maryland — Question H would create public financing of elections for municipal elections. Denver, Colorado — Denver Question 2E would establish a public financing fund to match donations under $50 at a 9-to-1 rate. North Dakota — Measure 1, if passed, would create an ethics commission, ban foreign political contributions, and strengthen conflict of interest and lobbying laws. New York City — Question 1 would lower municipal election contribution limits and increase the amount of money allocated in their public financing system. South Dakota — Amendment W would overhaul campaign finance and lobbying laws, among other things. A few municipalities might also pass novel democracy laws. 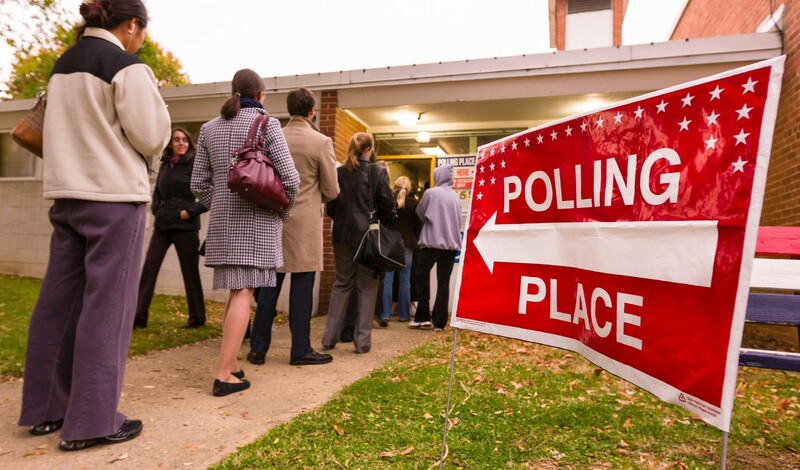 Golden, Colorado might lower the voting age for municipal elections to 16. Fargo, North Dakota could implement “approval voting”. And Lane, Oregon might adopt “STAR” voting. (We recently did an experiment with STAR voting at a Bassnectar concert). A note of caution: Not all of the ballot initiatives tonight pertaining to democracy are positive. Some, while perhaps seemingly innocuous, will be a major setback for our fight for a more fair and accessible democracy. Among these are: an assault on public financing in Arizona (Proposition 306), the adoption of restrictive and discriminatory voter ID laws in Arkansas and North Carolina (Issue 2 and Question 4, respectively), the repeal of instant runoff voting in Memphis, Tennessee (Memphis Ordinance 5669), and assaults on the judiciary in North Carolina and West Virginia (Question 5 and Amendment 2, respectively). We’ll keep track of these results and include them in the next post as well. Stay tuned! Adam Eichen is Communications Strategist for Equal Citizens. A conversation about (finally) achieving political equality.